This checklist is a brief summary of important deadlines and information that you will need as you prepare for your participation in ARCHIVES * RECORDS 2018. Please keep this document easily accessible for quick reference. Make Your Hotel and Travel Arrangements. Make your hotel reservations and travel arrangements to ensure discounted rates and the lowest available airfare. The hotel cut-off date for the preferred conference rate is Friday, July 20—or whenever the hotel room block has sold out. Register for the Meeting at the Early-Bird Discount. Register by Friday, July 6, and you’ll save at least $50 off the advance registration rate and $110 off the onsite rate. Not an SAA member? Consider joining today to save up to $190 with the purchase of an SAA individual membership and a full conference registration! 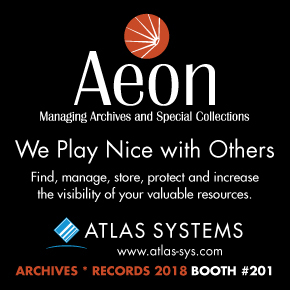 For more information, go to https://www2.archivists.org/am2018/attend/registration-rates. Update Your Conference Profile. The interactive online schedule and mobile app are hosted by Sched.org. Please update your profile – it makes the schedule better for everyone! Sessions with completed speaker data are likely to receive better attendance during the event. Once the online schedule goes live, please take a moment now to update your information. Add or review your profile picture, bio, website, and social media links. Forgot your login information? Email Matt Black at mblack@archivists.org with your name and session number. Advance Registration Deadline. If you missed the Early-Bird deadline above, register by Friday, July 20, to save at least $60 off the onsite registration rate. After July 20, you must register onsite at the Marriott Wardman Park. All speakers must register in order to have a name badge for admission to meeting rooms. Upload an Electronic Copy of Your Presentation to the Online Schedule. Meeting attendees may view presentations before and after the conference on the conference website (http://www2.archivists.org/am2018). Click here for instructions on uploading your presentation files. Please note that by sending a copy of your presentation in electronic format, you grant permission for it to be viewed by all ARCHIVES * RECORDS 2018 attendees; CoSA, NAGARA, and SAA members; and whoever visits the conference website.